Draymond Green had something he wanted to say and he made sure he had a captive audience. It’s too bad that it was something we already knew and just wound up making people mad than anything. 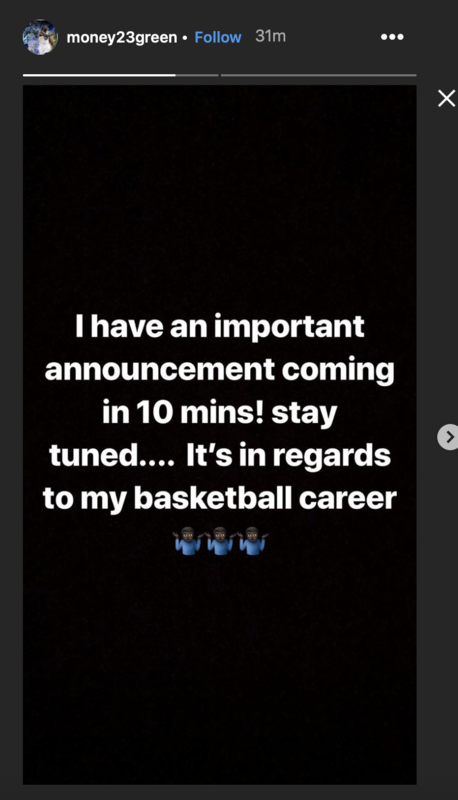 The Warriors power forward posted in his Instagram story that he was going to make an “important announcement” in 10 minutes. It was rather cryptic but seemed like it was a big deal for Green’s future. Obviously, it wasn’t going to be earth-shattering news. Green wasn’t going to announce he was traded or that he was retiring but maybe it would have something to do with a potential shoe deal or a new extension. You know, something about him. 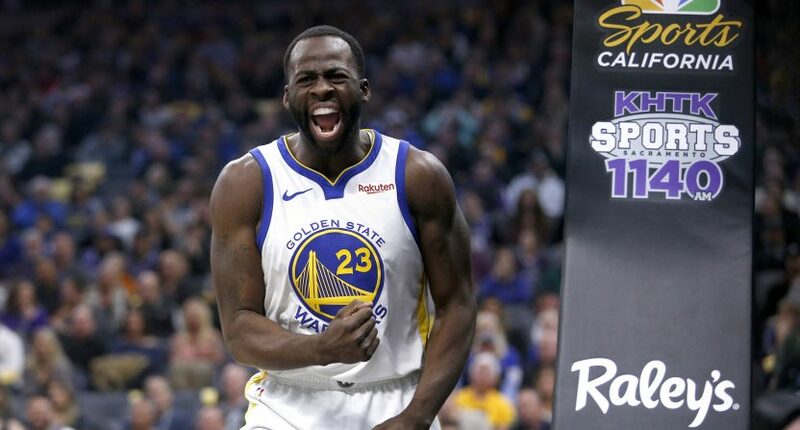 Instead, Green made his announcement and it had nothing to do with him and everything to do with DeMarcus Cousins making his season debut for the Warriors on Friday. 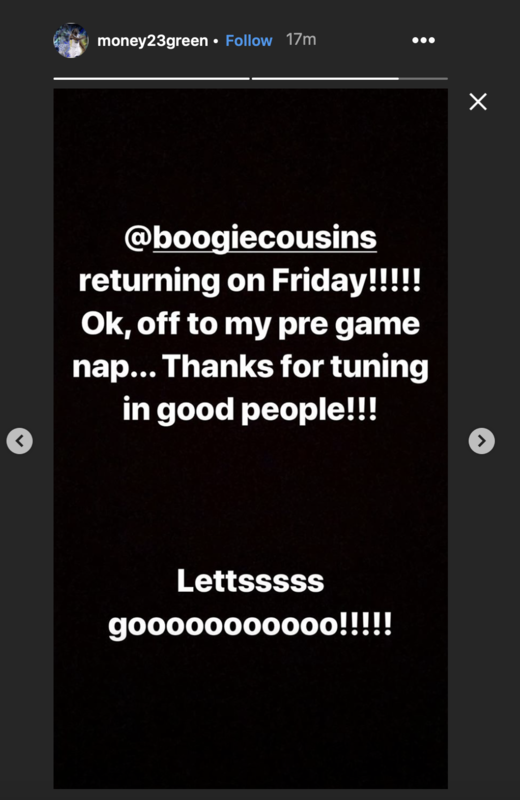 First of all, it’s awesome that Cousins is back. He’s been out for a while with a torn Achilles so regardless if you love or hate Golden State, good for him that he’s back. The problem is that this supposed “announcement” from Draymond was underwhelming for a variety of reasons. One, this obviously has nothing to do with Draymond or his career. Two, head coach Steve Kerr revealed yesterday that Cousins was “on track” to be back on Friday. So we pretty much already knew this and Green just merely made it official. And three, this isn’t the type of announcement that requires a 10 minute wait. Needless to say, people were not thrilled. I waited for old news? It’s either a tone deaf attempt at breaking news that pissed off a bunch of people or it’s a pretty lame attempt at trolling but at least Boogie is back so there’s that.